Tom Forsythe that lives in or near Montreal, Ontario, Canada is well known in that area for his excellent condition Model T and his ability to improve what Henry Ford designed, with his well stocked machine shop. 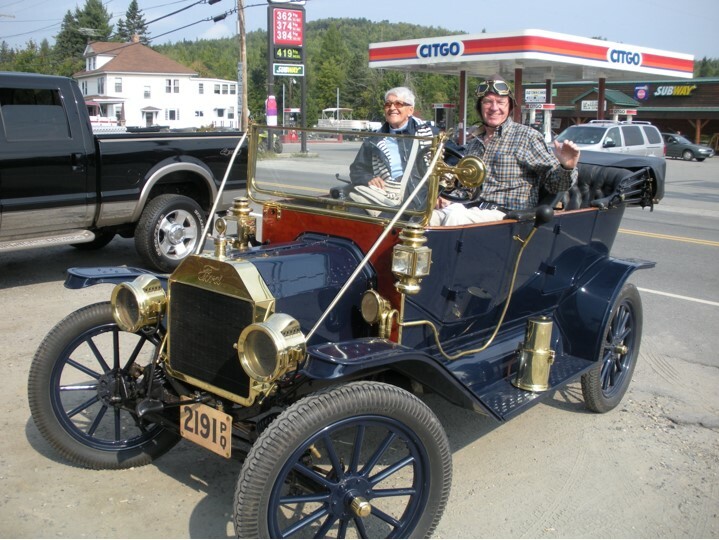 Tom has owned this beautiful 1912 for many years and he has driven it over 26,000 miles. He has driven it to Maine for the September Mainely T tours at least two or more times. In 1970 towing the smallest of tent trailers but complete with 20 lb. propane tank, stove and fridge, my first wife and young daughter of 6 years; with 11 other Model T’s and their families, left for a 7 week holiday, driving from Toronto to the Maritime Provinces and right across Newfoundland to Cape Speer the most eastern point in North America,and home again without the slightest problem! In the six years that I drove this T, I totalled 29,000 miles when I sold it to a buddy-in ‘74, as I had joined the Experimental Aircraft Association and started to build an all metal home-built aircraft -- but that is another story! Just to give you my honest total of Model T Ford miles driven, 29,000 plus 26,000 = 55,000 in my lifetime to date. A wonderful story. Thank you for posting it. But, James, I have to warn you: if you say Montreal is in Ontario, you may be detained at the border if you ever try to cross into Canada. Montreal is in Quebec! Gilbert, there was a clue on the license plate, the P Q is Province of Quebec. Actually, I was half right, as Tom lived in Toronto, until 1976. My boy hood home was Clayton, NY and on the St. Lawrence River across from Ontario. You had to go with the river for awhile to get to Montreal, but I often went there. One time there, I got chased off their bell tower fro dropping coins to see how high they would bounce. I suspect it’s actually Province de Québec!